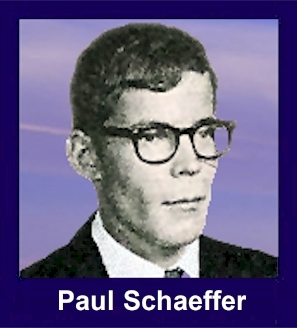 The 35th Infantry Regiment Association salutes our fallen brother, SP4 Paul Henry Schaeffer, who died in the service of his country on June 19th, 1969 in Pleiku Province, Vietnam. The cause of death was listed as Friendly Fire. At the time of his death Paul was 21 years of age. He was from Coraopolis, Pennsylvania. Paul is honored on the Vietnam Veterans Memorial at Panel 22W, Line 93. The decorations earned by SP4 Paul Henry Schaeffer include: the Combat Infantryman Badge, the Bronze Star, the Purple Heart, the National Defense Service Medal, the Vietnam Service Medal, the Vietnam Campaign Medal and the Vietnam Cross of Gallantry with Palm Unit Citation. Paul was in a NDP when he left the perimeter and was shot upon re-entering when mistaken for enemy. I remember Paul as a good, kind, and quiet man with a great smile. He was always friendly to everyone and we became friends over time even though we were in different platoons. I remember June 19,1969 as though it was yesterday. I was less than 30 feet from Paul when he died. I will not go into any details, but it is a night I will never forget, and think about daily. Paul, you were a good man and a good friend and I will remember you always. Rest in peace brother, for you are in a far better place and I will see you again in the future. Take care my friend. You died far too young. Ill always remember you and the guys in the schoolyard and the alley. And I still tell people about some "adventures", including the windows in the Jr. High! Keep smiling on.